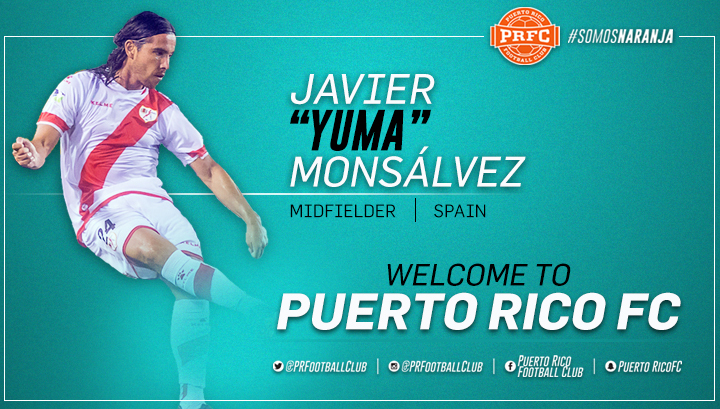 San Juan, Puerto Rico- Puerto Rico FC is excited to announce the second of its two new signings for the 2017 season: midfielder Javier “Yuma” Monsálvez. Yuma is a veteran midfielder who rose up through the Rayo Vallecano Academy in Madrid, Spain. He had 62 appearances for the senior squad, then moved to other clubs. In all, he made over 200 appearances in his native country before coming to the United States to play for Rayo OKC during the 2016 season, where he was an integral part of Rayo’s playoff run. 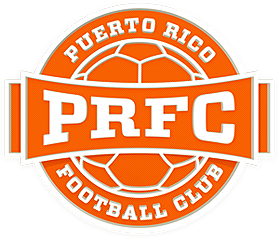 PRFC’s 2017 season kicks off March 25th at Juan Ramón Loubriel Stadium. Get your season tickets now and be a part of the Puerto Rico FC family. Season tickets start at $128, which gives fans access to exclusive events with players, discounts at the team store and much more. Taxes and fees apply. Call 787-722-PRFC to learn more about these amazing benefits or visit puertoricofc.com/tickets.